Social media is the central tool for connecting with clients and providing them with what they want. If you aren’t serving your clients, who are you serving? It is vitally important for a business to use social media as a form of customer service. 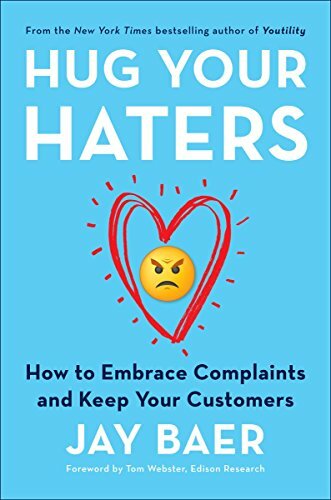 Jay Baer’s Hug Your Haters reveals the flaws in how businesses far too often respond to their customers’ complaints (inadequately, rarely or not at all) and reaffirms the absolute necessity of taking complaints from your customers as constructive criticism and using them to strengthen your business; criticism is always an opportunity to better. Baer highlights the manners of dealing appropriately with both offstage and onstage “haters” and delivers a strong but simple message: accept your mistakes, learn from them, and improve.